Born in Fargo, ND, Todd graduated from the University of Oklahoma with a BBA in Management Information Systems. Todd currently resides in Edmond, OK, with his dog “Princess”. Todd’s parents, Don & Cheryl Graves along with brother Tim, sister in law Gerilynne, and nephew Triston reside in Oklahoma City. Todd’s girlfriend, Tracy Bielich, also resides in Edmond. Tim Graves, born in Fargo, ND, attended Oklahoma State University in Stillwater, OK where he received his Bachelors of Science in Microbiology. He received his Masters degree from the University of Oklahoma in Epidemiology / Biostatistics. Before founding the Graves Golf Academy with brother Todd in 2000, Tim worked as an Epidemiologist for the State of Oklahoma for 10 years. Tim has been playing competitive golf for over 35 years, turning professional in 1997. Operates schools at 26 different locations with home bases in Phoenix, Orlando and Oklahoma City. Trent Grew up in Cameron Missouri and began playing golf at a very young age. He attended the University of Central Oklahoma where he received his degree in business administration. 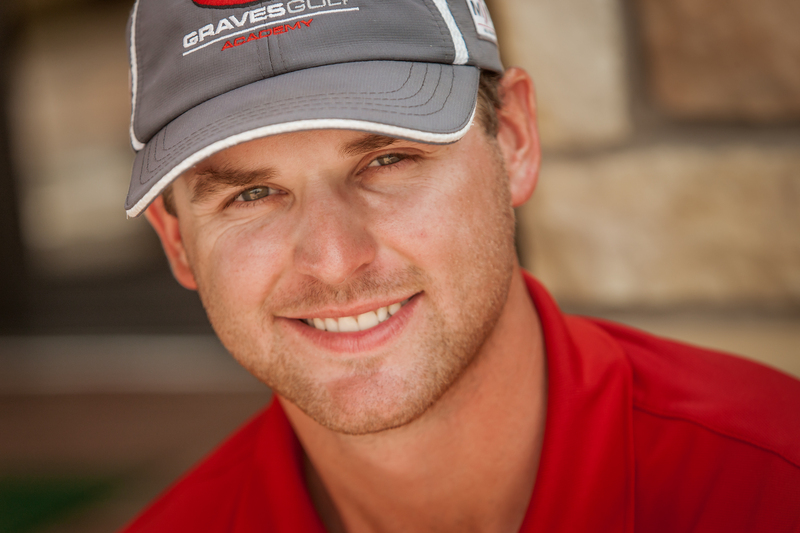 Trent has been a member of the Graves Golf Academy Staff since May of 2010 and a PGA member since December of 2012. Chandler started playing golf at age 11, and quickly become a very good young golfer. He was part of 4 Oklahoma Class 6A State Champion golf teams at Edmond North High school. He was the 2009 Edmond Golfer of the Year, and after achieving a top 30 National Jr. Golfer ranking, we began being recruited by many universities. Chandler decided to attend Texas Tech University in Lubbock, TX out of high school, and then transferred to Wichita State for his final two years. Chandler had a great final year at Wichita State, placing in the Top 20 in all that springs’ tournaments, and winning the Missouri Valley Conference Individual title in a playoff. Chandler joined the GGA team in May of 2014 and has quickly become one of the most skilled instructors on the team. In addition to his teaching responsibilities, Chandler also is a GGA Video Coach, and still works to perfect his Single Plane swing on a daily basis. Clay was born in Decatur, Illinois. He spent most of his adult life in Michigan, where he worked for General Motors for 34-years, until taking an early retirement in 2005. He earned a BS in Secondary Education from Michigan State University and an MBA from Central Michigan University. Clay enrolled in the PGA-PGM program immediately after his retirement, and in less than two years he completed the requirements to become a PGA member. Clay met Todd and Tim Graves while attending a “Build Your Game Camp”. He quickly thought the Graves Golf Academy instructors knew how to do things the right way. Clay experienced dramatic improvement with his own swing using the single plane approach, and believes it is the simplest way to strike a golf ball. Since that time he has enjoyed working alongside Tim and Todd at golf schools at various sites throughout the US since 2007. 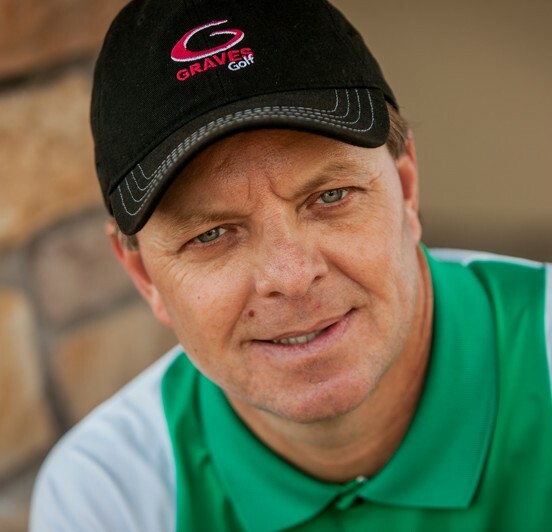 Clay is a PGA member and Master Instructor with the Graves Golf Academies. He is the Director of Instruction at the Golf Tour Trailer and Studio located just outside Warrenton, VA. This facility is open year round and has an indoor studio for inclement weather. He resides in Orlando, FL with his wife, Karen. Blade resides in Edmond, OK after recent multi-year Graves Golf adventures in China and the Gold Coast of Australia. Blade met Moe Norman in Pinehurst when he was four years old. Moe placed his hands on the club and told him with authority. “Don’t change”. And, he never has. In fact, the only golf-swing he knows is the single plane move. When his golf mentor, Todd Graves, was on the tour, Blade was accustomed to his monthly visits to see his Dad, the sport behaviorist Dr. Ron Cruickshank every month and spent hours every month watching and learning. Blade is a GGA Master Instructor and coaches at Premier GGA schools when available. As your Training Aid Specialist my job is to answer any questions about the many training aids available at Graves Golf Academy (GGA). I want to make sure you get the training aids you need to improve your single plane golf swing. I have known Todd and Tim Graves for over 35 years. I have played golf with them and 15 years ago worked for Graves Golf Academy by setting up and running junior camps. Because of that experience, their simple and easy system is integrated into my teaching philosophy and teaching practices. Tim Graves and I went through PGA school together where we were both successful in becoming PGA members. Through my career I have worked in the golf business as an assistant golf professional, a teaching professional, a director of golf, a Callaway Tech Rep, and an instructor at The University of Central Oklahoma in the PGA Golf Management Program. I am excited to be back with Graves Golf Academy as the Training Aid Specialist. I look forward to helping you learn your new and more reliable single plane golf swing. Born in Mexico City in 1950, Pepe moved to the United States in 1983. Pepe has an extreme passion for playing the game of golf – with many accomplishments including becoming a scratch golfer at an early age. Pepe became an integral part of The Graves Golf Academy as a partner in 2011 with the organization of the purchase of the Natural Golf Company. Pepe is now an important part of the growth and expansion of Graves Golf and the Single Plane Swing throughout the world. Pepe is a member of Brentwood Country Club in Southern California,, Hualalai (Hawaii), Kukio (Hawaii), Hokulia (Hawaii) and Club de Golf Bellavista (Mexico). Served as a board member in three different country clubs. Pepe owns and operates J.S. Signet, Inc., a family owned real estate company emphasizing commercial properties. Pepe is also affiliated with numerous charitable organizations including ORT. Pepe is married to Single Plane Golfer Rita and has two children and three grandchildren. Introducing our newest member of the GGA Teaching and Club Fitting Staff, James Bell. He comes to us through our home base Golf Club at Rose Creek. James was born in Goose Bay, Labrador Canada. He grew up living all over the Eastern Canada and joined the Canadian Armed Forces (CAF) in 1981. Stationed and travelling throughout Canada, Europe and the United States, James retired in 2004 at the rank of Captain, while stationed here in Edmond OK. 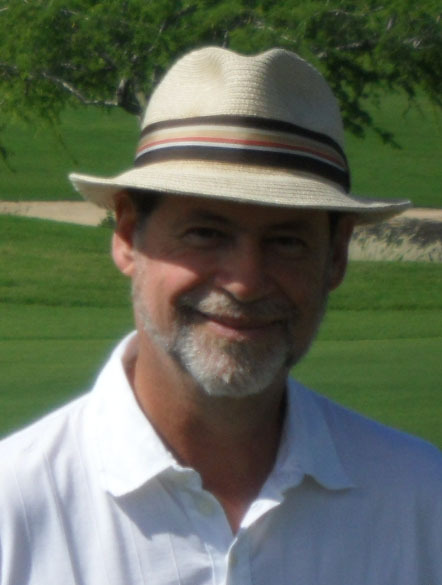 In 2001, James obtained his Golf Teaching credentials through the United States Golf Teachers Federation, ultimately becoming a Master Teaching Professional in 2003. Upon his retirement from the CAF, he began his teaching career working at numerous golf facilities in the OKC area. In 2005 he became a tech rep for Callaway Golf working demo days, mastering club fitting techniques and has been certified to fit golf clubs by all major club manufacturers. In 2017 James travelled to Carlsbad CA to become certified as a Master Club Fitter by Callaway Golf. James resides in Edmond OK with his wife Cindy and two boys Alexander (13) and Christopher (12). When he is not working James is very active with the Boy Scouts of America. He is a past Cubmaster (105 boys), current Scoutmaster (13 Boys), and a mentor to National Youth Leadership Training and the BSA adult Leadership Training – Woodbadge.